Register Log In AmbergrisCaye.com Home Forums Specials & Events MOVIE NIGHT at the Central Park! The San Pedro Town Council presents MOVIE NIGHT at the Central Park! This Saturday, March 24, we will be showing HOP! Seating is at 6:30 p.m. and Movie starts at 7:00 p.m.
Bring your Mats, Blankets and Pillows! We will also have food and juice on sale! THERE WILL ALSO BE FACE PAINTING AND ARTS & CRAFTS AT 6:00 P.M.
Click photos for more pictures! 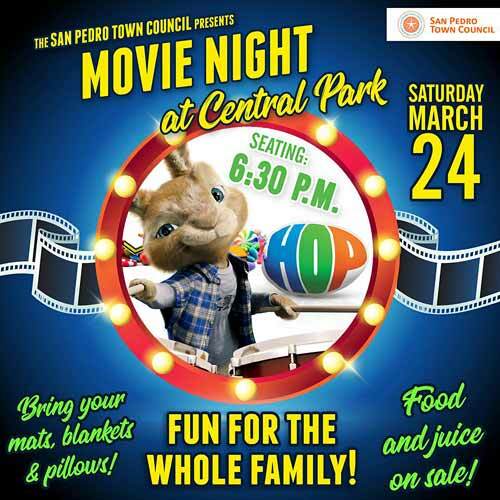 On Saturday, March 24, 2018, The San Pedro Town Council held its first Movie Night at Central Park: Easter edition, showing Hop. 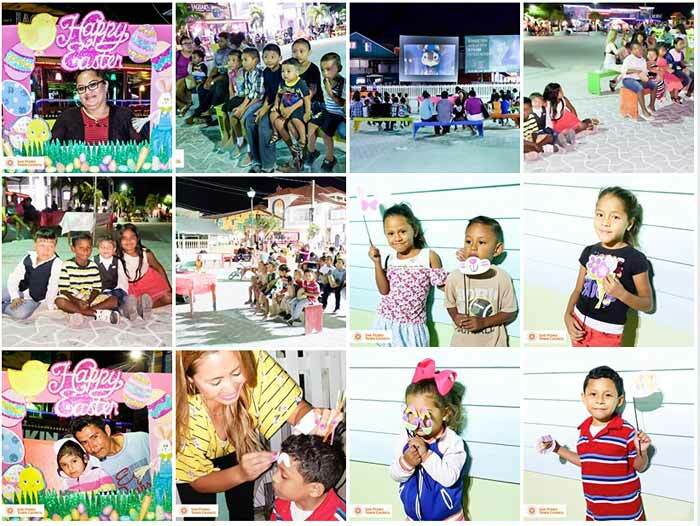 It was definitely a fun night as the kids had their face painted and took pictures with the colorful Easter frame - even the adults got in the fun! While watching the movie, the children were treated to popcorn and juice. The San Pedro Town Council would like to thank those listed below that assisted in making the first Movie Night a huge success. THANK YOU!